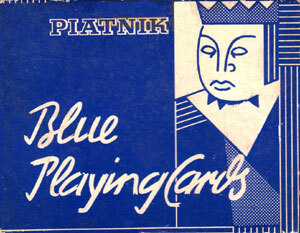 Piatnik’s “Blue Playing Cards” appear to be inspired by the Cubism art movement in which objects are analysed and reassembled in abstracted form, possibly even by Picasso’s Blue Period. The tilted heads add expressiveness. 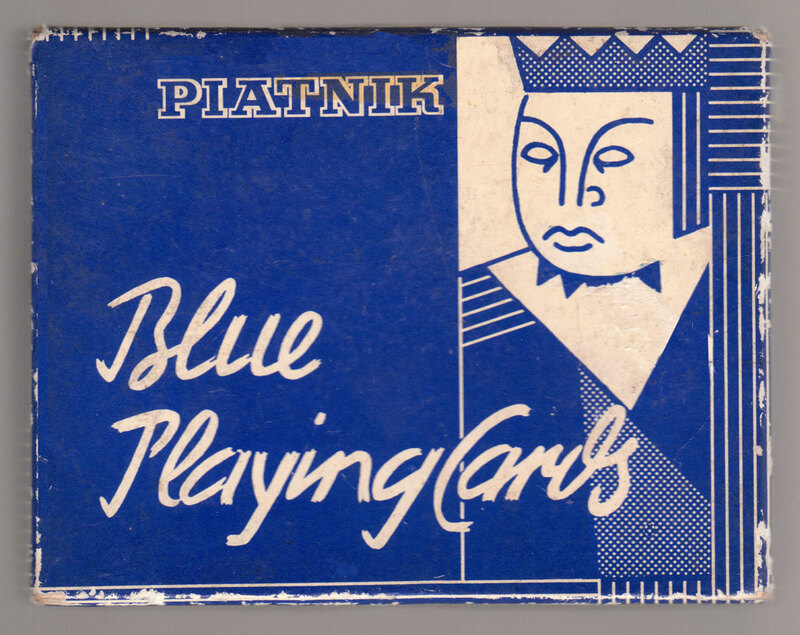 Above: “Blue Playing Cards” by Piatnik, 1960s. 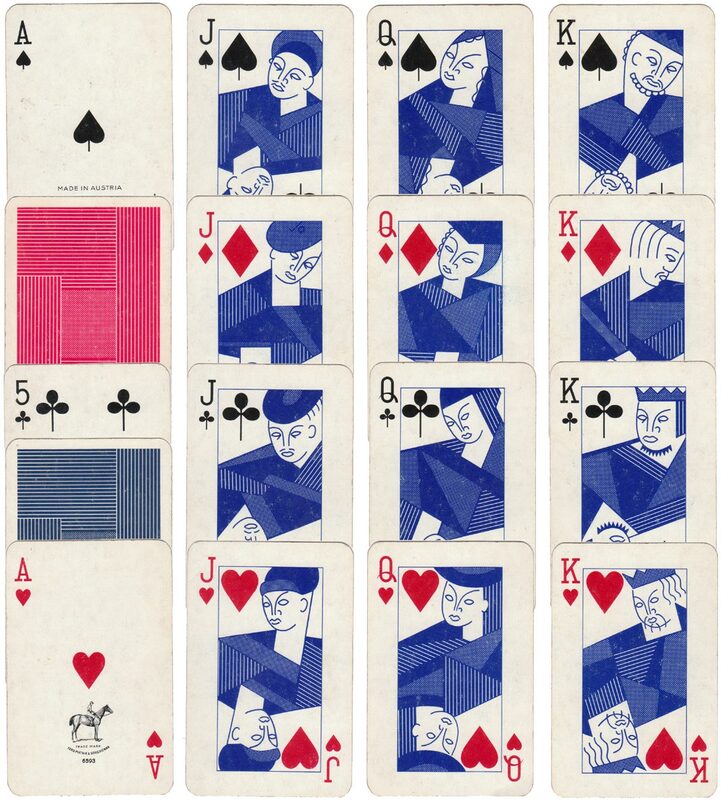 Images Rex Pitts.